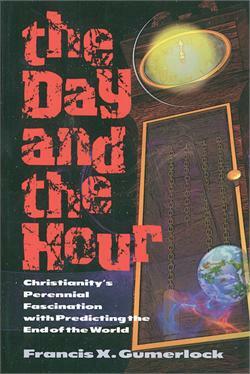 The Day and the Hour: Christianity’s Perennial Fascination with Predicting the End of the World. Trying to predict the return of Christ and the end of the ages began two thousand years ago and continues to this day. Gumerlock has compiled a one-of-a-kind history of these foolhardy predictions.This fascinating chronicle of predictions will rivet the attention of any student of Bible prophecy. Regardless of your eschatological position, you must have this book. Gumerlock looks at date-setting from the first century to the present and beyond showing the utter futility of trying to predict when the end might come.